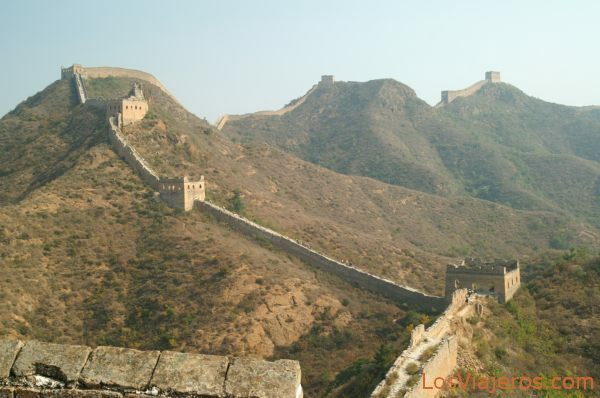 Simatai, la Gran Muralla China: El tramo de Simatai fue construido durante la Dinastia Qi del Norte, y recontruido durante la Dinastia Ming. Reune todas las caracteristicas arquitectonicas mas importantes de la Gran Muralla Ming. Simatai, China Great Wall: Simatai section section of the Great Wall was built during the Northern Qi dynasty (550-577) and rebuilt in the Hongwu years of the Ming dynasty by Qi Jiguang, this section of Great Wall is one of the few to retain the original features of the Ming dynasty Great Wall. Gran Muralla - China Great Wall - China "Index"